Keyless design provides flexibility ,Never lose key again! Also don’t worry that the key is copied or the password is cracked, Your finger is your key,Use Fingerprint or Bluetooth to lock and unlock. 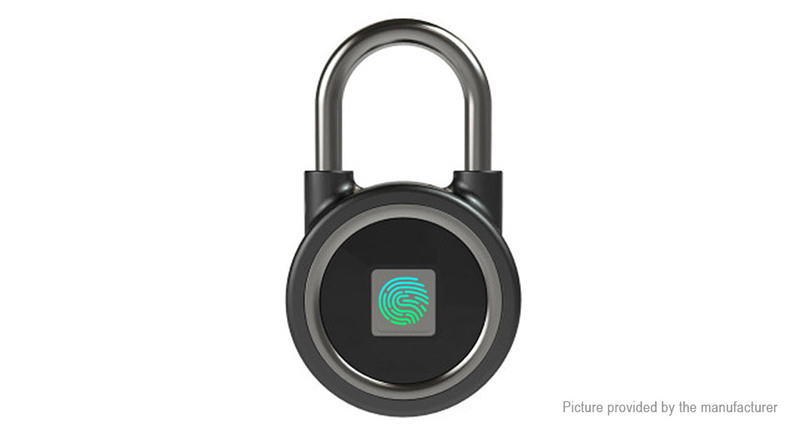 Easy to use with the free app (suitable for Andriod and iOS system).15 Groups of Fingerprints,the padlock can add up to 15 groups of fingerprints (to add fingerprints on the manager cellphone),convenient for private usage ,also suitable for the whole family usage. Easy to carry and widely used.For indoor and outdoor use, gym lockers, suitable for suitcases, golf bags, handbags, school lockers,furniture, wardrobes, bicycle and other goods that you want to protect. Made of ADC12 aluminum alloy body and 303 stainless steel latch hook,Prevent from being pried or smashed or cut,Up to IP65 level waterproof electronic lock can prevent the dust and rain efficiently.